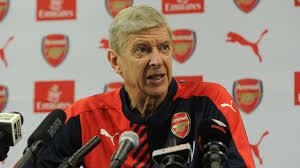 Ignore boycott calls, Arsene Wenger begs Arsenal fans – Royal Times of Nigeria. The veteran French boss has still to announce if he will be staying at the Emirates Stadium when his current contract expires at the end of the season. Arsenal have finished in the top four of every full season since Wenger took charge 21 years ago but, after Liverpool’s 4-0 win at West Ham on Sunday, they now need slip-ups from either the Merseysiders or Manchester City to help them maintain that proud record. Now there are calls for a mass boycott of Tuesday’s match at home to Sunderland. But Wenger, who yet again refused to comment on his Arsenal future, said Monday: “My message is always the same, it is to support the team.